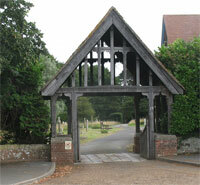 Locations of Newport & Carisbrooke Cemeteries. Newport, Cemetery, between Fairlee Road and Newport east quay was opened in 1858, today it's administrated by the IW Council. Map of Military and notable burials. 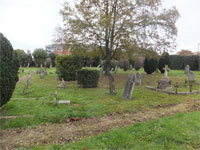 St Paul's, Barton (old) Cemetery is the land to north of Paul's churchyard on Cross Lane - established 1872, replaced by cemetery in Halberry Lane circa 1899 although some burials were after this date where plots had already been reserved or for burials in family plots. St Paul's, Barton (current) Cemetery, off Halberry Lane, the cemetery was opened in 1899 as an extension to the cemetery adjacent to the church, today it's administrated by the IW Council. Map of military graves etc. Carisbrooke (Mountjoy) Cemetery, off Whitcombe Road, the cemetery was opened in 1858, today it's administrated by the IW Council.